Product information "Owls and Squirrels"
The Owls and Squirrels are also hand carved out of wood. 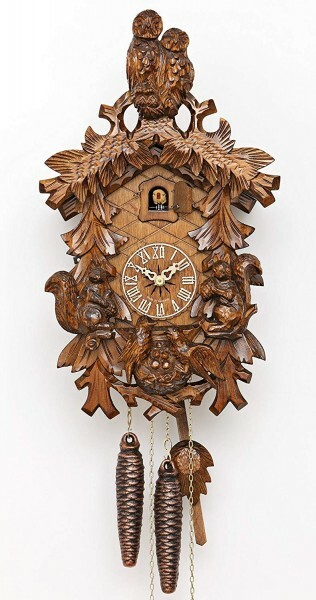 With the night shot off, the cuckoo clock can be turned off. Related links to "Owls and Squirrels"
Customer evaluation for "Owls and Squirrels"